I like the effect of this Easter pop-up card. 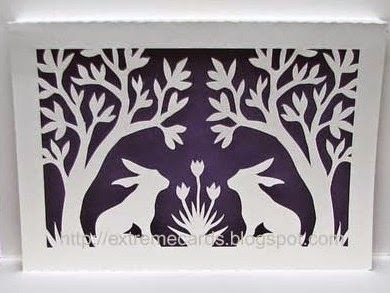 The white cutouts of the trees, bunnies and flowers give it a an almost lacy appearance. The template download for the card comes with a PDF file as well as two other file types tailored for use with electronic cutting devices. 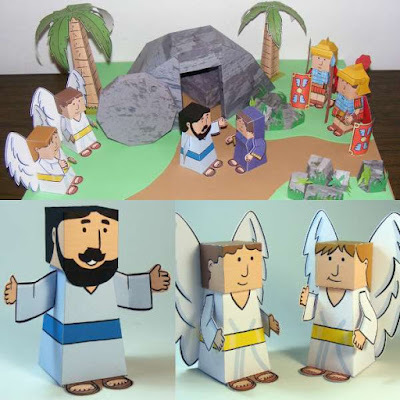 This pop-up was created by Carol at Extreme Cards and Papercrafting. Happy Easter! One of the top memes of 2011, the Nyan Cat meme began life as a YouTube video that combines a cat, a Poptart, a rainbow, and an infectious Japanese pop song. 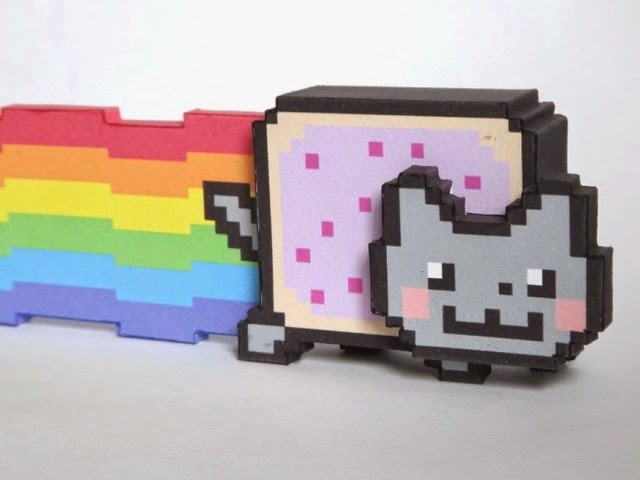 This papercraft Nyan Cat was created in 2012 by Russian papercraft designer, btt-modeler. The Pepakura PDO template may be downloaded here. The dragon kaiju, King Ghidorah, first appeared in the 1964 Godzilla movie, Ghidorah, the Three-Headed Monster. To date, the golden, hydra-like monster has appeared in eleven different movies. 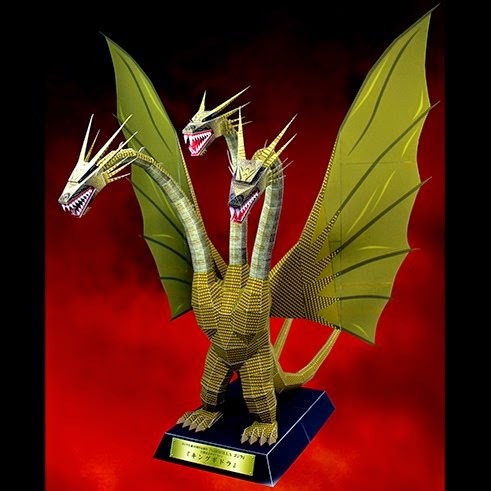 This paper model of King Ghidorah was released in 2014 by the Epson company as a promotional item to celebrate the 60th anniversary of the first Godzilla movie. The A4 sized PDF template for the model may be downloaded here. This antique papercraft was published by Imagerie d'Epinal, a 19th century publishing company based in France. The model is entitled "Fontaine de la Madone" (Fountain of Madonna). "Madonna" is in reference to the statue of Mary with the Christ Child that adorns the top of the fountain. I was unable to determine if the fountain depicted in this model is real or fictional. As the Epinal company is known for publishing models of romanticized scenes, I suspect the subject of this model is fictional. 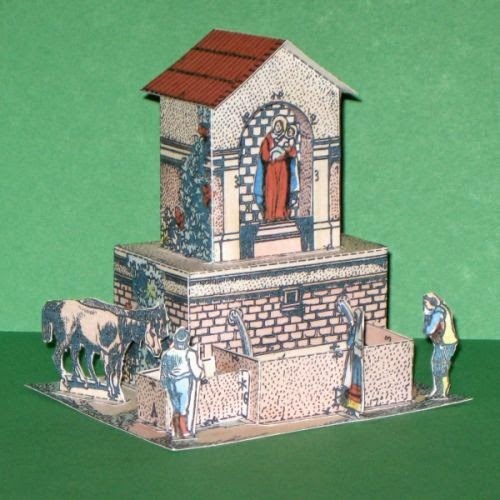 The 2D figures in the model include a man watering his horses in a side basin, a woman praying in front of the statue, and a man who is apparently getting a drink of water with cupped hands. A scan of the template for the fountain may be found here. Faceted paper sculpture animals seem to be quite popular these days. This papercraft buffalo skull is one I find more interesting than most. I can easily see this as a decorative piece in a home with a southwestern theme. The creator of this papercraft based his design on a 3D model found on the Thingiverse website. The 3D model, in turn, was created from a 3D scan of a actual bison skull. 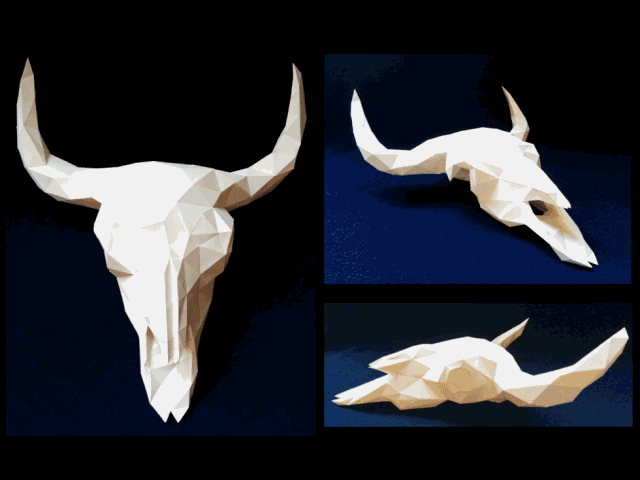 Papercraft templates for the skull may be downloaded here. I have been toying with the idea of producing a series of book paper toys. This Kingdom Hearts Winnie the Pooh book is my first experiment. The idea for the toys is that each would be built from a single piece and when finished would be hinged so that one can open the book and see something inside. 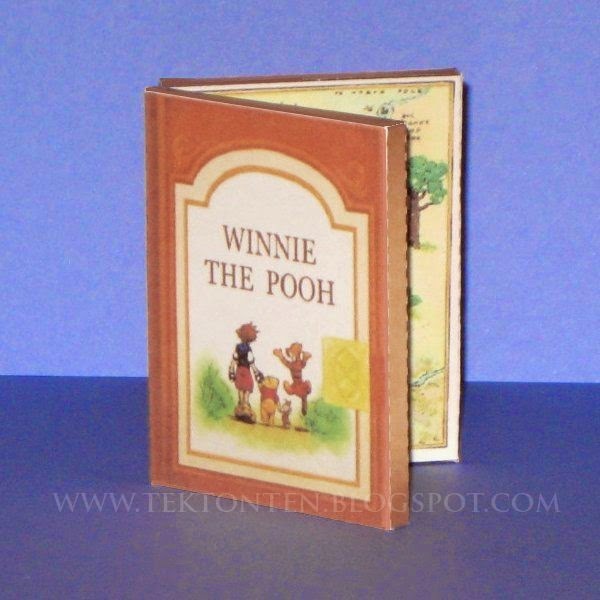 This Pooh book paper toy is based on a book that appears in the Kingdom Hearts I video game. Inside is a map of the 100 Acre Wood where Pooh and his friends live. The finished toy stands 2.5" (6.4 cm) tall. If response to this book is good I will produce others. Future possibilities include: the Enchiridion from Adventure Time, the Book of Omens from ThunderCats, as well as books from various video games. The PDF template for the Pooh book may be downloaded here. Let me know what you think! 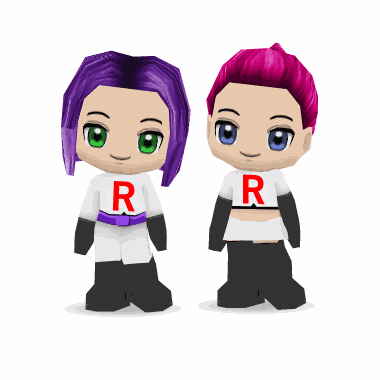 These chibi paper toys of Jesse and James of Pokemon's Team Rocket are the work of papercraft creator, Skele-kitty. Skele-kitty used BuddyPoke 3D avatar software to create the toys. My favorite part of these toys is that each comes with seven different facial expressions! 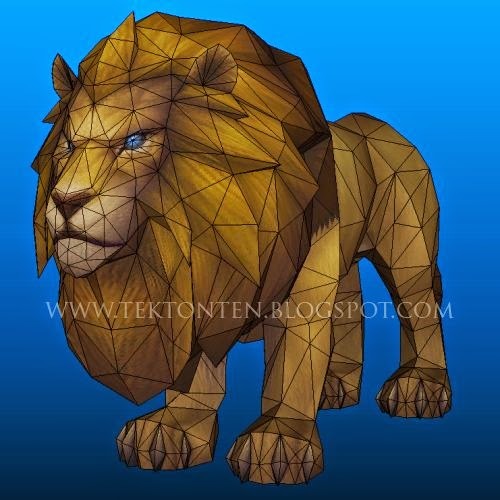 The templates for the toys may be downloaded at Skele-kitty's DeviantART page here. In the Street Fighter franchise of video games, the character Chun-Li is notable for being the first playable female character in a one-on-one fighting game. This papercraft Chun-Li is a fan art homage by DeviantART member Lubre53. While not life-size, the paper model is large, standing at 47" (120 cm) when complete. The Pepakura PDO template for the model may be downloaded here. Printing the template requires A2 size paper. In the 1940's, Cheerios did an advertising tie-in with the Lone Ranger radio show. On the backs of Cheerios boxes were printed papercraft templates for the various buildings of the Lone Ranger's frontier town. There were nine different box backs in all. Additional buildings, along with four base maps, could be ordered by mail. Scans of each and every part of the frontier town may be viewed at the Trilling Days memorabilia website. 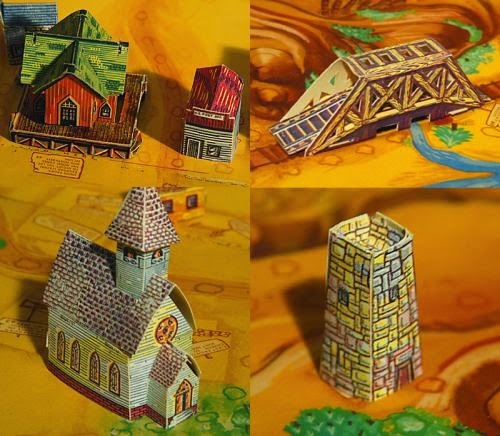 According to the site's author, when fully assembled, the base map of the town covered nearly 15 square feet!